Why do I have baby food containers in my sink if I don't have a baby, you ask? 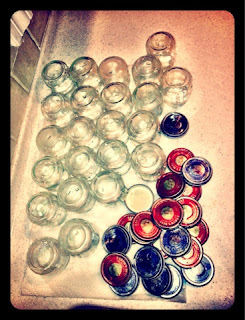 Oh, just some lab preparations for tomorrow... sorry to disappoint you. I wish I had something more exciting to post tonight. But I don't. for the lab pics and the lab freebie!! Confession: I ate two containers of Sweet Potatoes as I cleaned. 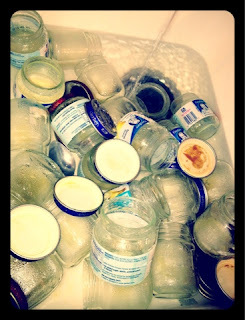 Did you know that washing/cleaning the labels off 24 baby food containers is tiring? Can you guess what the lab might be?